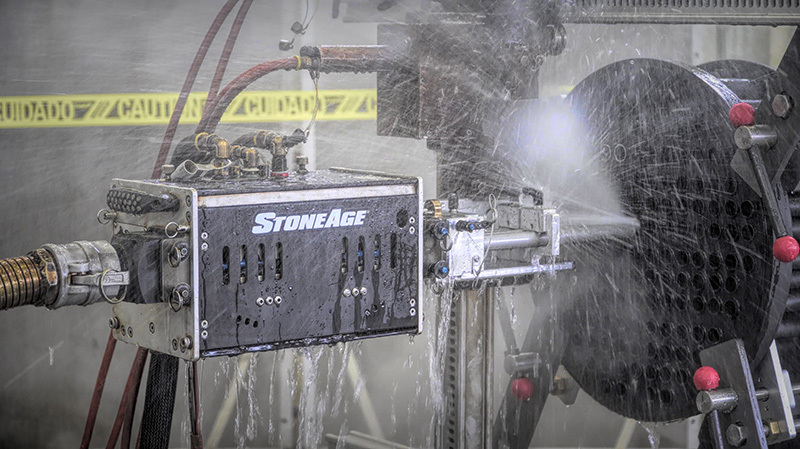 StoneAge brings decades of experience in high pressure tool engineering to the training arena. 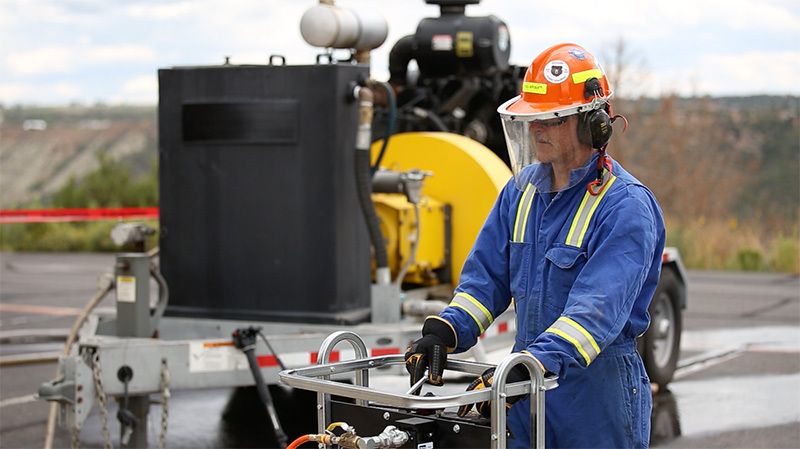 Our comprehensive program is designed to educate your team in the safe and efficient use of waterjetting tools, safety equipment, and automated systems. Our instructors can tailor training specifically to your company’s needs and travel to your location to work with your team and equipment on site. We can contact you directly to discuss details and schedule your training. We provide in-depth classroom and hands-on practical training, incorporating techniques gathered over 40 years of industry leadership. Fundamental waterjetting safety concepts for operators and crew leaders, including risk assessment, job site preparation, proper use of Personal Protective Equipment (PPE), overview of high pressure systems and tooling, and introduction to waterjet physics and forces. Explores the application of waterjetting for effective cleaning of drains and sewers, industrial pipes and tubes/exchangers, tank and vessel cleaning, surface cleaning and preparation, and hydrodemolition. Safety considerations and job optimization are covered for each application. This course provides a deeper understanding of the science of waterjetting and how to apply physical concepts for optimal job efficiency. Topics include understanding pump horsepower and pressure loss, fitting and hose identification, material jettability and quality jetting, effects of upstream conditions, rotation, standoff, and dwell time. Enforce what’s been learned with instructor-led exercises and hands-on practice. Training will be enhanced by working with fellow students, problem-solving, and assessment as a team. StoneAge is an approved Water Jetting Association (WJA) training provider and can deliver on-site training for the full range of WJA courses. Jan is a regarded trainer with a broad understanding of tooling, equipment, and high pressure technologies. In his many years in the global waterblast industry, Jan has held a variety of roles, including sales and management. "Waterblasting is too dangerous to make mistakes on the job – but they're encouraged in class." Beginning his hydroblasting career in 1983, Doug has held every operations position from Technician to Branch Manager. Doug holds in-depth knowledge of high pressure sytems and is dedicated to safety and training. 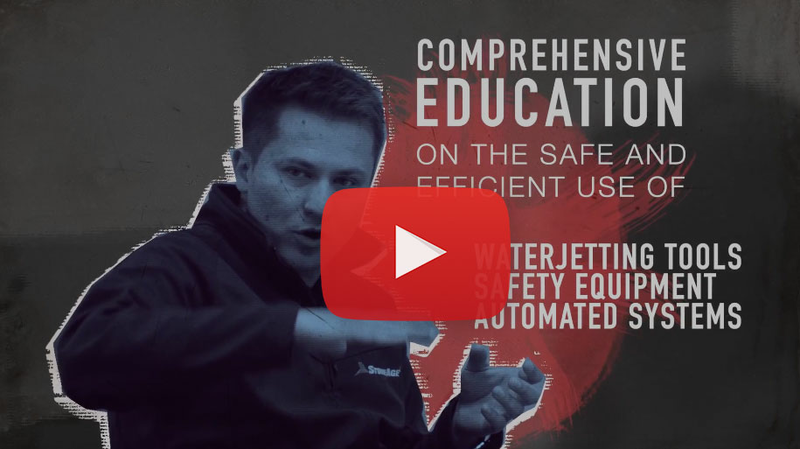 As representing member of the main council and training committee at the Water Jetting Association (WJA) in the UK, Steve delivers training on safe practices of waterjet applications around the world.